Having returned to his "ultimate home", former Reserve Bank of India Governor Raghuram Rajan has resumed his role as 'Distinguished Service Professor of Finance' at the University of Chicago Booth School of Business and would teach international corporate finance there in winter of 2017. Giving details of Rajan's 'course schedule' for 2016-17, Chicago Booth School said this course will explore the challenges of corporate finance and investment in a more integrated global economy. "How should one optimally organize the location of production, control, and financing? What kinds of new concerns emerge when the whole world, rather than just one's domestic economy, become the arena of decision making? "How does decision-making depend on the environment one is doing business in? Most students will see this as an alternative to the case course in corporate finance, but some could see it as a complement," it said about Rajan's course. 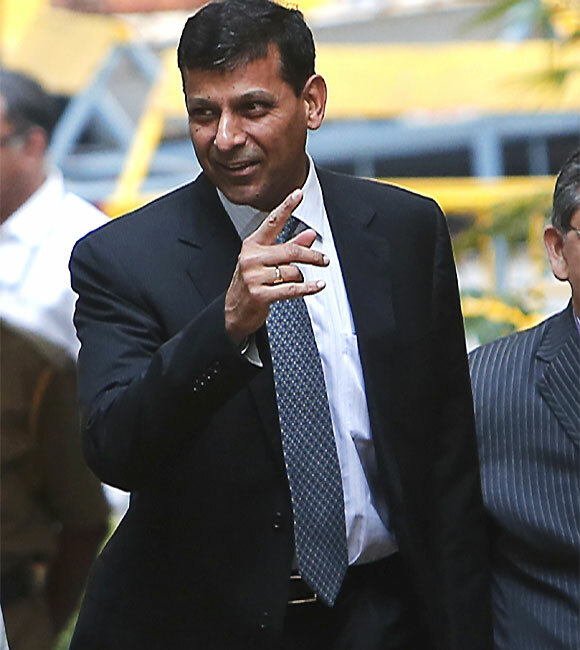 Rajan, who was hailed as a 'rock star central banker' soon after assuming charge at Reserve Bank of India in September 2013 but often landed in controversies during the three-year tenure with his outspoken views, had earlier said he would return to academia after leaving RBI. He was 'on leave' from Chicago University, with which he has been associated since 1991, during his tenure at RBI. Rajan, whose vocal comments on various occasions including economic, political and social issues often led to controversies and were also seen as being critical of the Modi government at times, has also said he would be back in India for lectures and other public events after a "break". Interestingly, the Chicago Booth School has listed "Indian politics" among Rajan's interests, besides tennis, squash and history. Giving further details, the Chicago Booth School said the format Rajan's course would include discussions, case studies and "ethics discussion/comment". "The course will be based on a set of readings and cases... Grades will be based on class participation, case write-ups, and an exam," it added. The business school has also named two forthcoming publications of Rajan -- one on ‘the Corporation in Finance' and the other jointly with Douglas Diamond on 'Illiquid banks, Financial Stability, and Interest Rate Policy'. Between 2003 and 2006, Rajan had also served as chief economist and director of research at the International Monetary Fund. As per Chicago Booth School, Rajan's research interests are in banking, corporate finance, and economic development, especially the role finance plays in it. Rajan, who is credited to have predicted the global financial crisis of 2008, is also a member of the Group of Thirty and was the President of the American Finance Association in 2011 and is a member of the American Academy of Arts and Sciences.